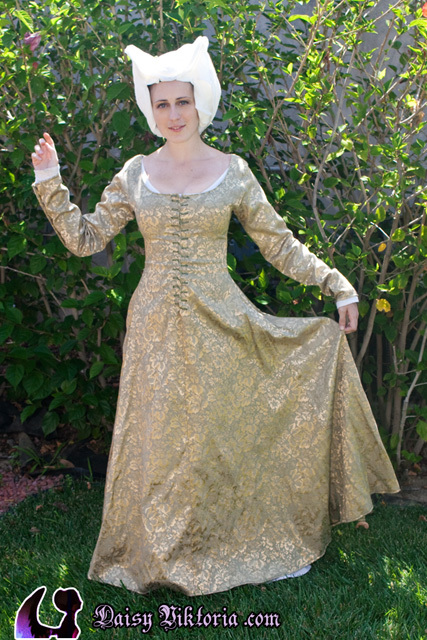 The gored kirtle was a style popular in northern Europe in the 15th century. 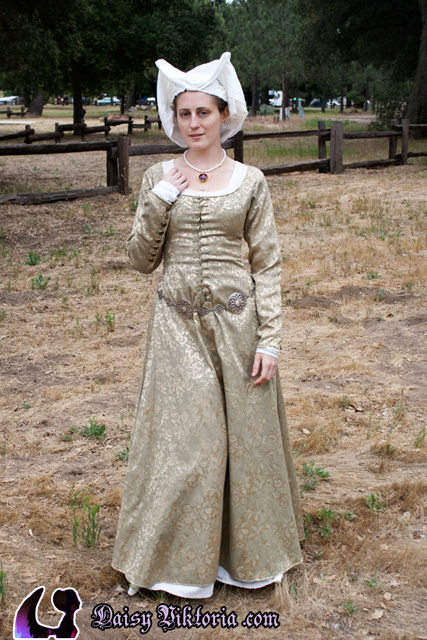 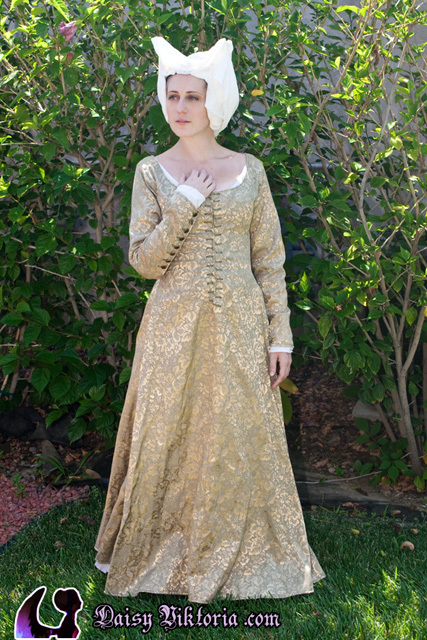 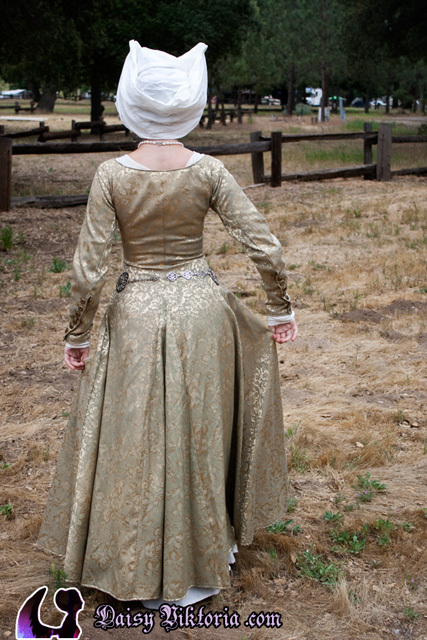 This kirtle is made of gold brocade/jacquard fabric and laces up in front with buttons on the sleeves. 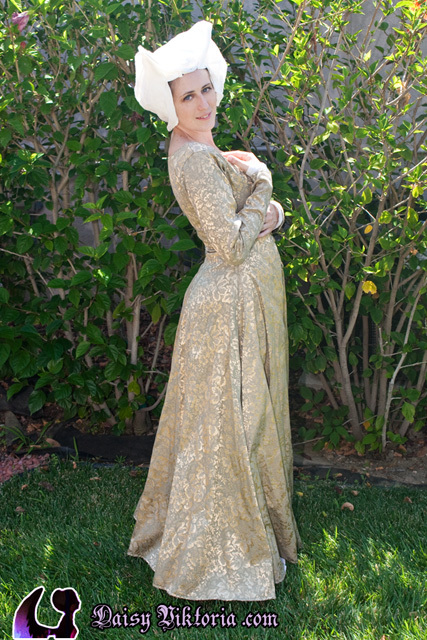 It is often worn as an undergarment with some of my other gowns, but it looks great by itself as well. 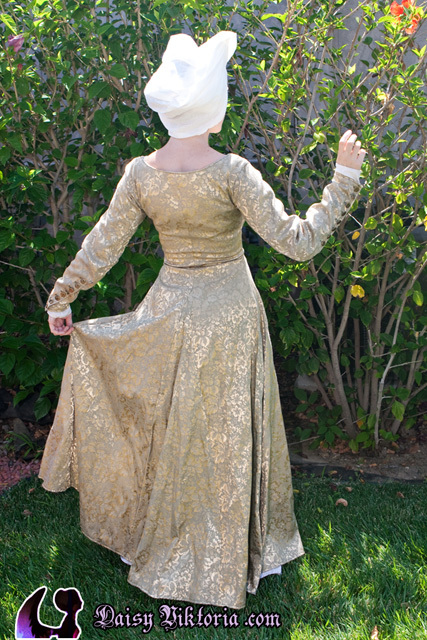 The hat is a horned veil.